Our team would like to collect as much new research as possible. If you are wondering how to avoid duplicating the research efforts of others, follow these steps. 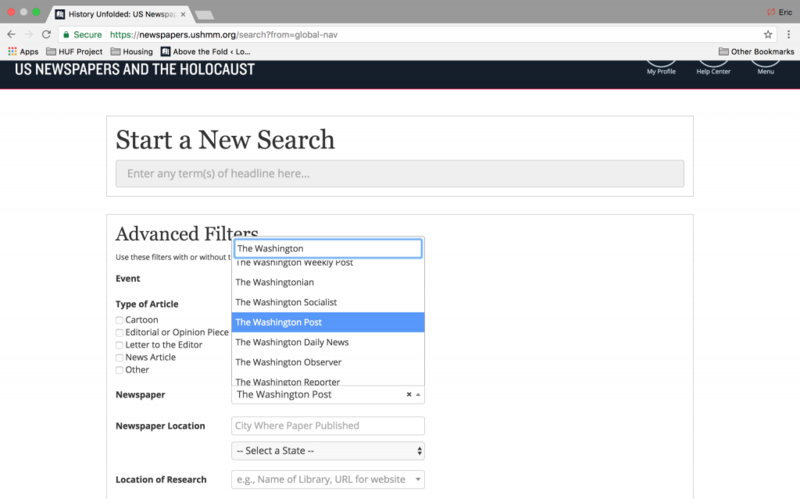 Start out by finding newspaper collections that you want to research. 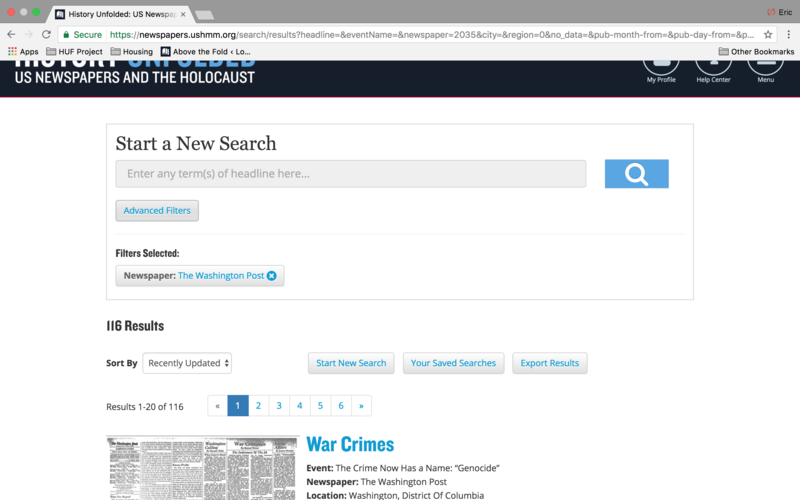 Determine what newspaper archives are available in your area by contacting your local library. Check what additional collections may be available via our project’s “Find a Newspaper Archive” page. Once you have an idea of newspapers you may want to research, you should see if those newspapers have already been thoroughly researched. 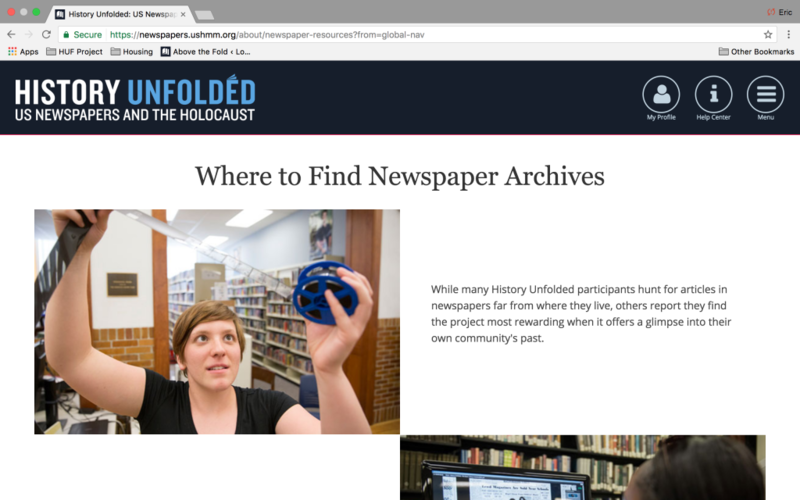 Go to the History Unfolded website and click on “Menu” in the upper right hand corner of any screen. 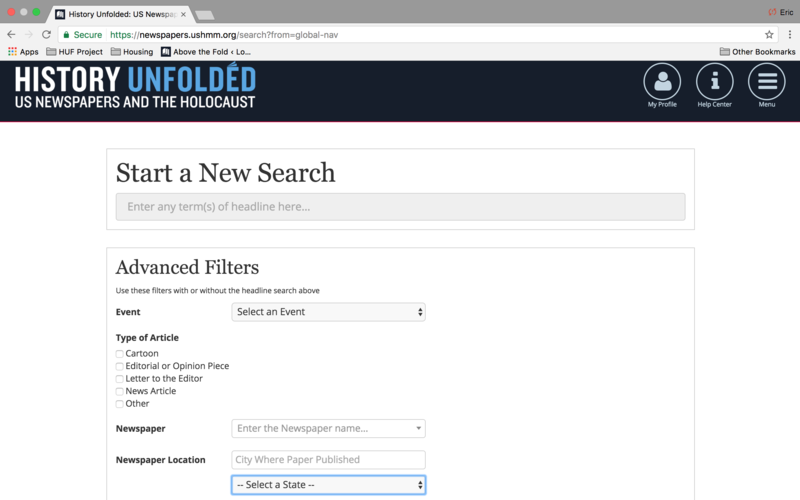 Set the advanced filter “state” to the state you would like to research newspapers from. 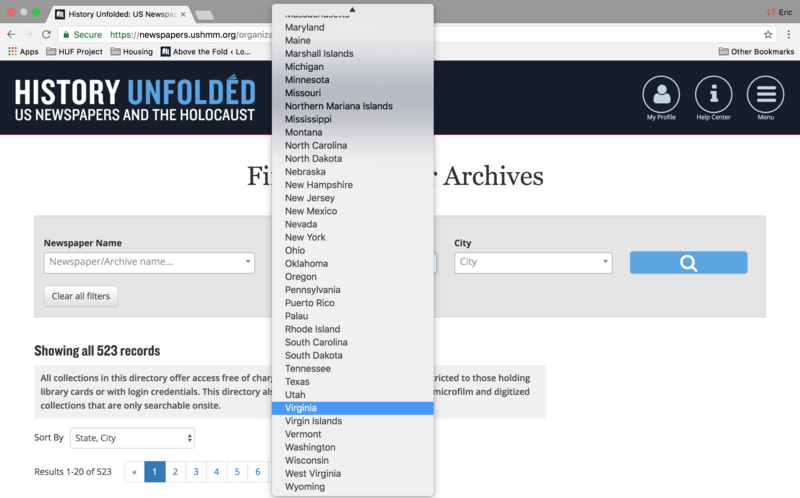 If you are researching papers from a state with a large number of contributions so far, you may want to set additional filters for newspaper name, city and/or one of our History Unfolded events. 1. 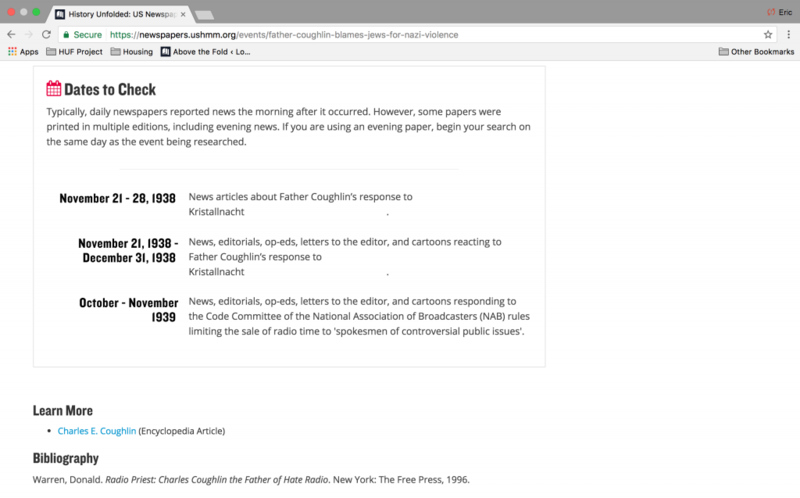 Click on the menu icon in the upper right-hand corner. 2. 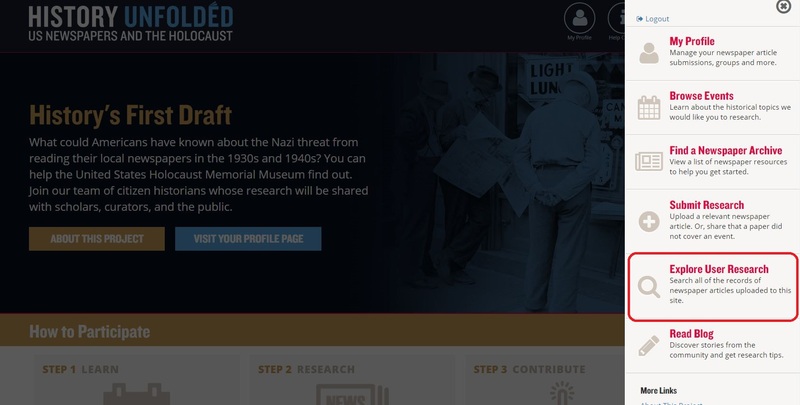 Select “Explore User Research” from the menu. 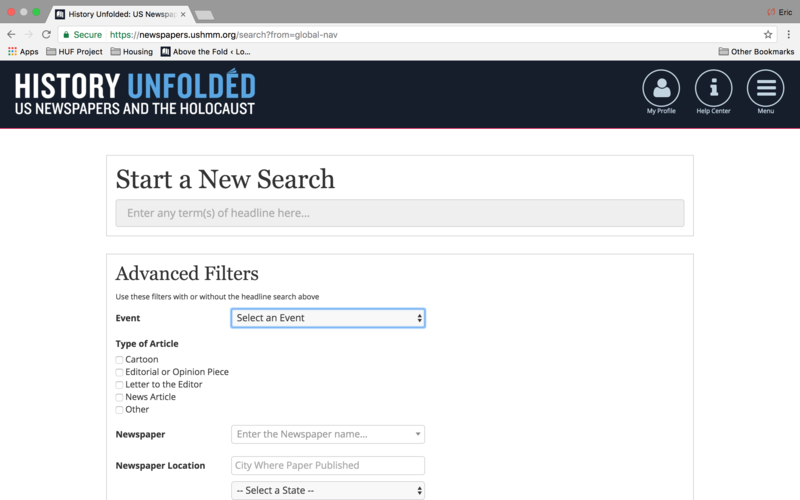 You may have noticed that there is a headline search at the top of the “Explore User Research” page. 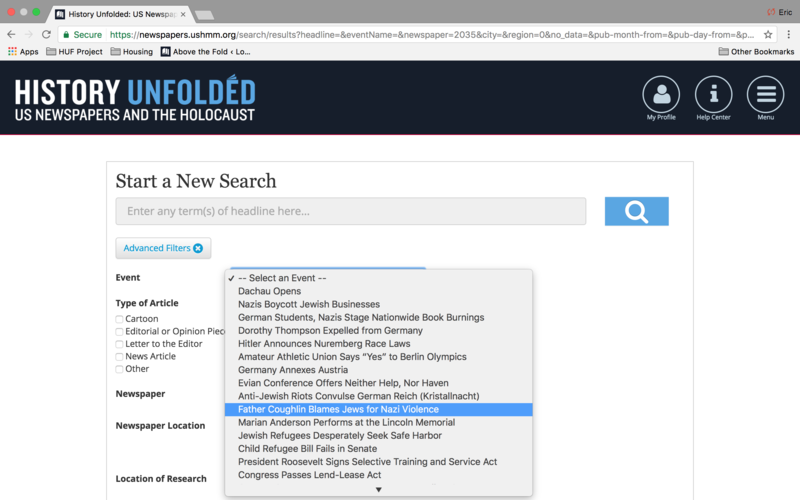 The search will only return results for headlines keyed in a particular order. Since our headline search is not comprehensive, using it would not be the best way to determine if an article exists in the database. 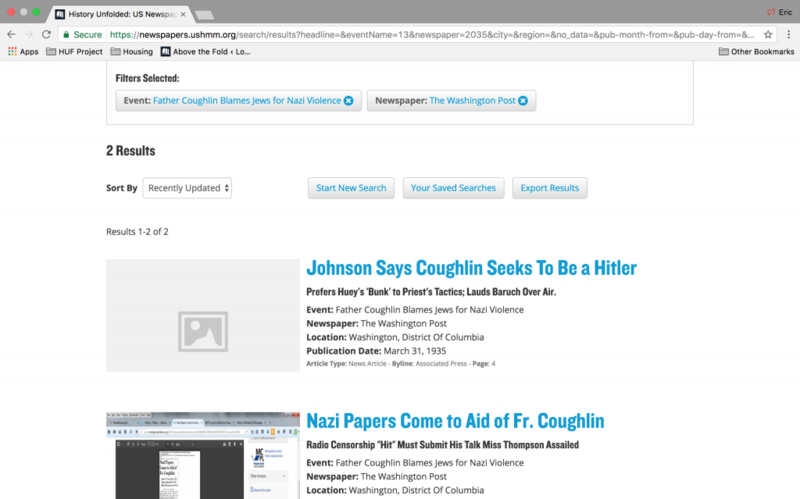 Let’s say I live in Arlington County, Virginia and I want to research a newspaper and topics which have not be researched yet. First, I would contact the Arlington County Public Library system. I would also check the History Unfolded website’s “Find a Newspaper Archive” page for the state of Virginia. 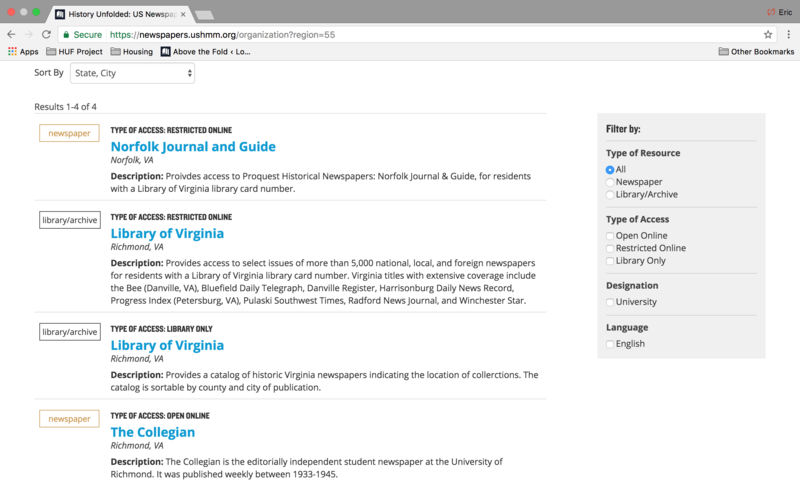 As you can see, as of the time of writing, according to the “Find a Newspaper Archive” results I only have 4 options for researching newspapers published in Virginia, outside of contacting a local library. Furthermore, my options are very limited if I want to do online research. So, it is clear to me that contacting my librarian is going to be quite important as a researcher who lives in Virginia and wants to upload new articles to the History Unfolded website. 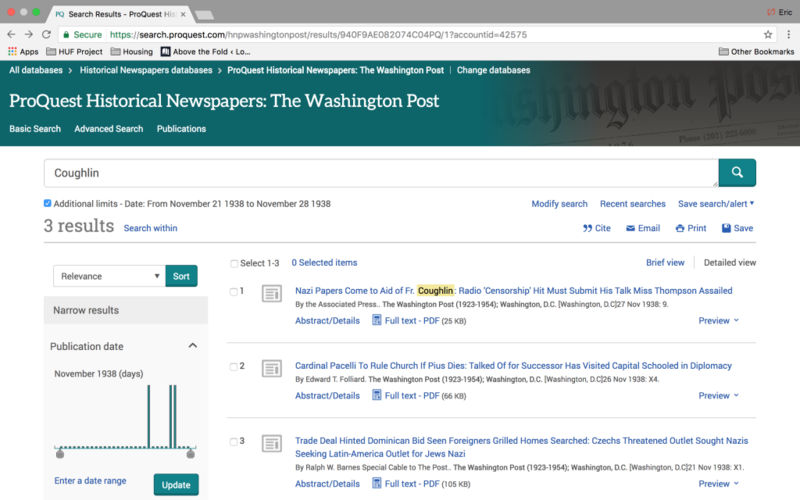 The librarian told me that all Arlington County Public Library card holders have access to the historical Washington Post online. As a result, I am thinking of starting with this publication. Once I am comfortable with doing research online, I may decide to look at the Alexandria Gazette on microfilm at the Center for Local History in the county’s central library, as I learned from my librarian. At the time of writing, there were 116 results, a fair amount. This doesn’t necessarily mean the Washington Post has been thoroughly researched, though. 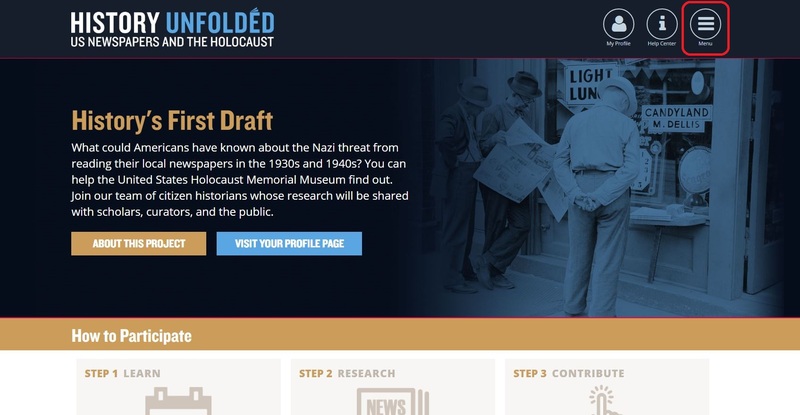 Let me try to narrow the results by History Unfolded event. I click on advanced filters and now decide to see if anyone has uploaded any articles from the Washington Post on an event I am particularly interested in: Father Coughlin Blames Jews for Nazi Violence. Have questions? 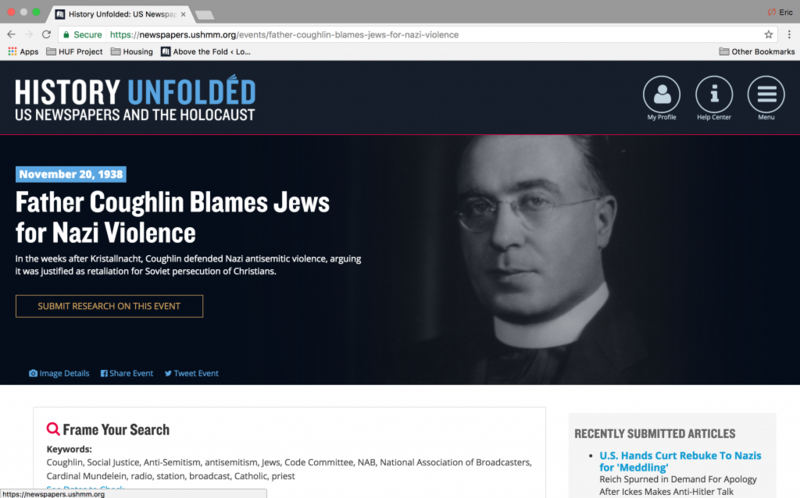 As always, you can drop us a line at historyunfolded@ushmm.org.